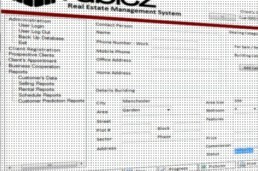 Real Estate Management System is an application to maintanance and manage the clients well. It’s powerfull application desktop based and deliver the client’s data precisely. Moreover it will boosts the selling program for real estate company in the future.